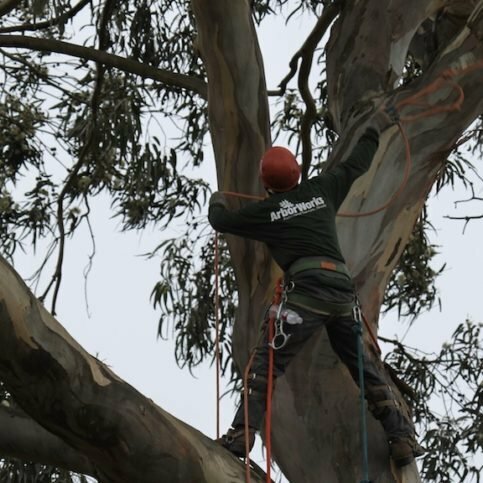 It is necessary to check that a tree service in Monterey County or San Benito County will posses the proper licensing, liability insurance, and workers’ compensation. It would be to your benefit to check the validity of their insurance yourself. If you chose a tree service in Salinas, Seaside, King City, or Monterey, without looking into liability insurance or workers’ compensation, you could risk financial ruin. If there were an accident that damaged your property or an injured a tree worker, you would likely be held liable. tree services in Monterey County or San Benito County should be certified with the International Society of Arboriculture, or ISA. In order to even qualify for the ISA certification exam, they must have at least 3 years of experience in tree work, or a degree in Arboriculture or Horticulture. Another step for you is to call past customers for references of a tree service in Monterey County or San Benito County. This is especially true if you are unable to use a Diamond Certified tree service. If it sounds like a lot of leg work to first check out so many things before hiring a local tree contractor, remember: If you choose a company without doing the research, it may end up costing you more time and money in the long run. You know you need tree work done, but do you know what type of tree company you want to use? There are many professional tree companies out there to choose from, or maybe someone recently handed you a business card and offering tree services. Ask yourself what kind of business you want performing your tree services in Monterey County or San Benito County. Do I want a Diamond Certified tree care company that is rated best in quality and backed by the Diamond Certified Guarantee? Do I want a tree service in Monterey County or San Benito County that is well qualified and experienced? Have I done research on the types of tree services performed and what tree work entails? Do I have the right budget for hiring an experienced and qualified tree service in Monterey County or San Benito County? If you are ready to hire an arborist, now you must complete your research on tree services in Monterey County or San Benito County. You can chose with confidence by using a Diamond Certified tree service. If you are unable to use a Diamond Certified tree service, this is where it is most important to conduct your research. The types of tree care services offered in Monterey County or San Benito County may differ by company. Most will offer services such as insect spraying, tree fertilization, tree removal, stump grinding, cabling and bracing, tree pruning, cavity filling among other services. You will need to determine which tree services you need, and seek out companies that cater to your specific tree service needs. After your phone local tree services should have specialized equipment to handle your tree care needs. They will be able to offer services such as repairing tree storm damage, view restoration, and reducing tree overgrowth. Be sure to communicate exactly what you want accomplished from a tree service or certified arborist. Make sure you take notes of the ISA certified arborist’s answers to your questions. This is particularly true if you have more complex tree care needs. Let the tree service know if you wish to employ an arborist for the long term. Whether you are a potential customer for long-term or one-time tree services, your tree care specialist or arborist should get to know your individual tree care needs so they can recommend the best services. What tree care equipment do you use? Do you use tree spikes or lifts to climb trees (spikes may damage trees)? How experienced are your employees with working around hazardous electrical wiring? Is clean up included? What does your tree clean up include? When will clean up be completed? Will I supply water for tree services (a potential hidden cost)? How long do you estimate my tree services will take? After tree removal, will you also do stump grinding? Is there an extra cost for stump grinding service? Do you provide tree storm damage removal or wind damage repair to trees in Monterey County or San Benito County? After seeing the tree services I need, what is your estimate? Will you have a written contract for my tree care services? What are the terms of contract for tree service in Monterey County or San Benito County? It’s best to choose a Diamond Certified tree care service because all certified companies have passed an in-depth ratings process that most other companies can’t pass. If you want quality from a tree care service in Monterey County or San Benito County, you can have confidence choosing a Diamond Certified company. If you can’t find a Diamond Certified tree care service company within reach, you’ll have to do your research carefully. If you do call references on your own, make sure to ask for a list of the company’s 10 most recent customers. This will help avert giving you references of only customers they know were satisfied. If you do, it’s wise to call some references provided by your tree care service. What is your total satisfaction with this tree company? What reasons were you satisfied or not satisfied with these tree services? Would you call this company again for your tree care in Monterey County or San Benito County? Were they friendly and professional throughout your interactions? Did they pressure you into tree services you did not want? Did they notify you of any accommodations required prior to starting tree work, such as moving vehicles? Did your final price reflect the original estimate you were given? Why or why not? Were there any hidden costs on your final tree service invoice? Review your choice of tree services and begin your final selection process. If they are not a Diamond Certified company, do they have any complaints with the CSLB? Before deciding on the best tree care service in Monterey County or San Benito County, it’s important to consider these questions. Whether seeking tree pruning in Greenfield, tree cabling in Monterey, tree removal in Salinas, tree maintenance in Pacific Grove, or other tree services in your area, are you able to communicate your needs with the company? 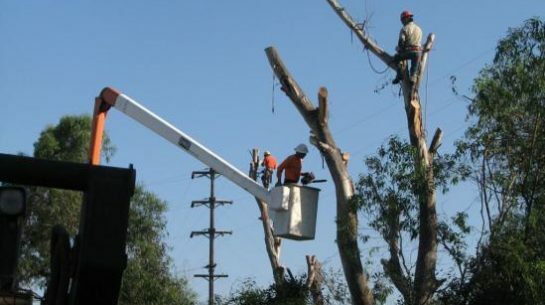 Has a Monterey County or San Benito County tree service pressured you into tree work? Did you feel they have your best interests in mind? Are you only seeking a fix to an isolated tree problem (no long-term tree services)? Have you checked tree service liability and insurance, as well as licensing, tree care training, ISA certification, and experience? Have you contacted the California Contractor’s State Licensing Board (CSLB)? Are they a Diamond Certified tree service? If not Diamond Certified, do they have any complaints with the CSLB or consumer reporting agencies? If you are confident in the answers to these questions, make your decision to hire a professional tree service company. Congratulations on selecting a good tree service in Monterey County or San Benito County. Know that in the long term, good tree care will be an investment in your Monterey County or San Benito County home. Ask if tree services will be completed in a few days or if it will be completed in one day? Have them notify you in advance of any additional costs that were unforeseen in your original estimate. Ask if there is an extra charge for travel from a tree service in Pacific Grove to complete tree care in Salinas. Sign the contract (if applicable) and do a walk-through with the senior contractor overseeing your tree work before it begins. Understand there may be extra noise and debris while the tree service completes your work. Make sure not to get close while they are completing the work, as this could be a safety hazard. Ask your tree care professional what is a safe distance to keep from the work being completed. Only talk to a tree care worker when they are safely on the ground. It is important to keep any pets out of the way of tree care work and to keep your windows and doors closed as much as possible. This will help avoid dust and debris from tree work getting inside your home. How Can You Be a Good Customer? Why would you want to be a good customer? Everyone appreciates a pleasant customer. This is no different for tree care in Seaside or tree care in Monterey. Tree care professionals appreciate customers who are straightforward, honest and easy to work with. Your good customer behavior sets the tone from your end and creates an environment conducive to a good relationship. Things may go smoother and any problems may be more easily resolved. Here are some simple steps you can take to be a good customer of a professional tree service in Monterey County or San Benito County. Be upfront with the tree care service you choose. Let them know what you want from your tree service, and how they can fulfill your expectations. Before you hire a tree service in Monterey County or San Benito County, restate your understanding of the agreement. Most problems with local professional Tree Services occur because of a breakdown in communication. By being clear about your expectations and theirs, you can avoid most conflicts. When working with your tree care professional in Pacific Grove or Soledad, ask if you should call to check on the progress of your tree work. Be sure your contractor has a phone number where they can always reach you while they’re performing tree work in Monterey County or San Benito County. Pay for your tree care work promptly. Building a good rapport with your tree care service company will help, since communication is crucial to having your specific tree care needs understood. This is especially true if you will need care over the life of your trees. Ideally you will want to use the same company for tree services. Whether you need tree pruning or tree fertilization services, good arborists and tree trimmers will get to know your tree needs specifically. This way they can make recommendations for future tree work to keep your home beautiful for years to come. Always make sure to check that all of the work your tree service in the contract was completed as agreed upon and completed to your satisfaction. If they agreed to do all clean up work after providing tree services, make sure your yard was left clean. The arborist’s / tree care company’s name, address, telephone number, and their license number at minimum. A break-down of cost for both labor and materials. The invoice should also include the start date, estimated completion date or possibly a guaranteed end date. There may be a clause for some delays that are excusable such as inclement weather. If they offer a satisfaction guarantee, has the Tree Service been completed to your 100% satisfaction? Some tree service companies may provide a warranty for tree work and arborist services. If you received tree services in Salinas, Seaside, Caramel or other areas, did your tree care company provide you with a written warranty? What does this written warranty guarantee? If a Monterey County or San Benito County tree service planted trees and completed tree pruning and maintenance, do they guarantee anything regarding to the health of your trees? Always make sure you understand the terms of any tree service warranty if one is provided, and that your written guarantee promises the same terms you were given in person. When tall trees lean at a noticeable angle, this can be a hazard if there are strong winds during storms. Leaning trees should be corrected by a professional tree service to avoid property damage or personal injuries. Trees need proper light, pruning, and food to help it achieve a pleasing tree shape and to live longer. This includes tree fertilizers, which will increase the health and nutrition of your trees. There are both organic and conventional fertilizers for trees that your Monterey County or San Benito County tree service can provide. Solar enhancement completed by professional arborists in Monterey County or San Benito County will ensure there is sufficient light for solar panels to function adequately. If your home has solar panels in Salinas, you will see improved solar functionality by reducing the amount of shade from trees. Perhaps you wish to plant Ambrosia Pomegranate trees, apple trees, or citrus trees. Consulting a professional tree service will assist you with tree planting to maximize your investment. Diamond Certified tree care contractors are backed by the Diamond Certified Performance Guarantee. If the tree service company is Diamond Certified and you can’t resolve the issue by talking with the owner, contact the mediation department at [email protected] or call 800-738-1138. First, identify what the specific problem is with your arborist or tree contractor. Speak with the senior contractor of the tree company when an issue first arises. Remember to be polite, even when you are discontent with your tree care service. Explain the problem in detail and know how you would like it resolved (within reason). Tree photographs may be useful if an arborist or tree service damaged your trees (you may need before and after photos to prove your case). Know your rights as a consumer. If your issues are not resolved in a timely manner, consult the California Department of Consumer Affairs. Familiarize yourself laws that pertain to contractors and tree services in Monterey County or San Benito County.